Vietnam is not exactly a world leader when it comes to pollution or waste; it’s actually one of the top 5 countries contributing to plastic waste in oceans. But Saigon is becoming a forerunner of social change in Vietnam and brands are taking note. One of my goals for 2019 was to be more conscious about my plastic consumption so I’ve been investing in products that will elimitate everyday plastics in my life. And it’s really not so hard! 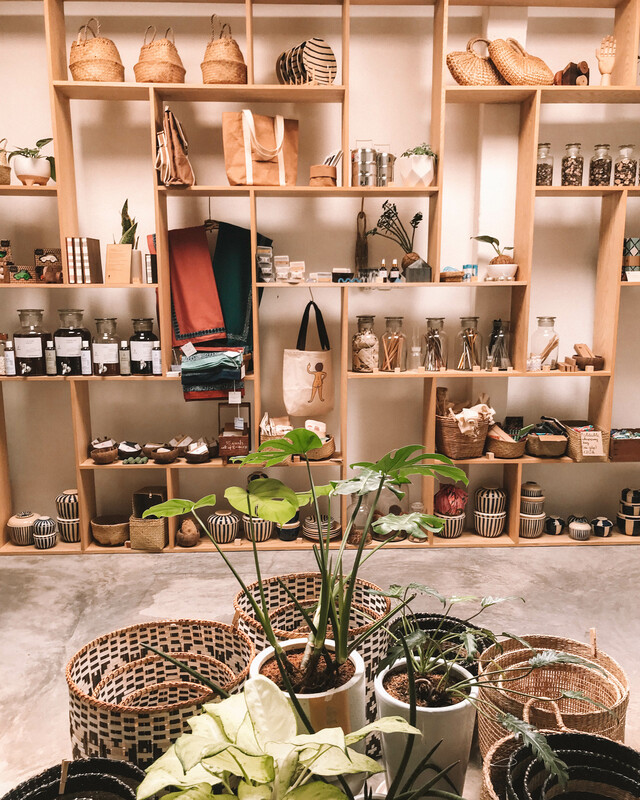 Here are some Vietnamese eco-friendly brands I’m crushing on right now that are both beautifully designed and eco-conscious. Coconut oil is well-known as a beauty godsend. Not only is it great for your health and beauty but with over 30 possible uses, it eliminates the need for a cabinet full of cosmetics. Coconut oil is an eco-friendly must have! 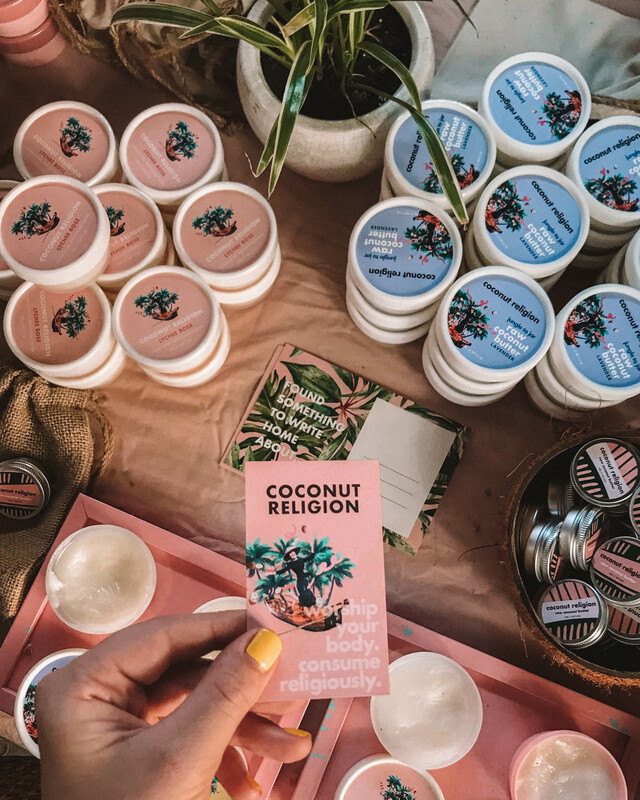 Coconut Religion is a local Saigonese brand founded by expat Maggie Shen, who has a background in design and luxury beauty. 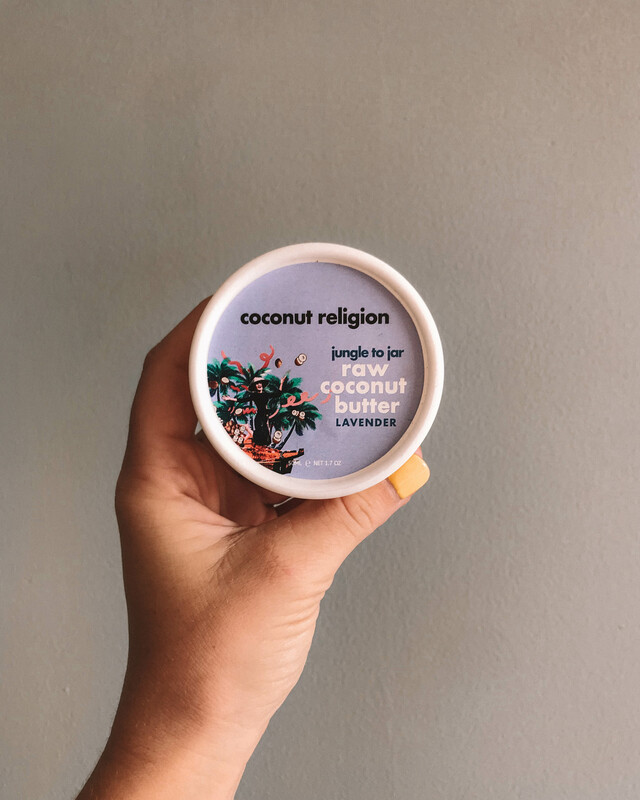 She saw a gap in the market for a high quality, eco-friendly and sustainably produced coconut oil and launched Coconut Religion. And she is executing her vision beautifully. The coconuts used to create coconut religion are source locally from the Mekong Delta, just outside Ho Chi Minh City with a Jungle-to-Jar concept. They have a recycling program (part of why the brand is focusing locally on Saigon only). Once your jar is empty return it to one of the retailers for a discount off your next purchase. The returned jars are recycled and used to home more coconut oil. The packaging of the coconut oil is currently plastic but this local recycling initiative offsets some of the potential waste. The lip butters come in recyclable aluminium tins. 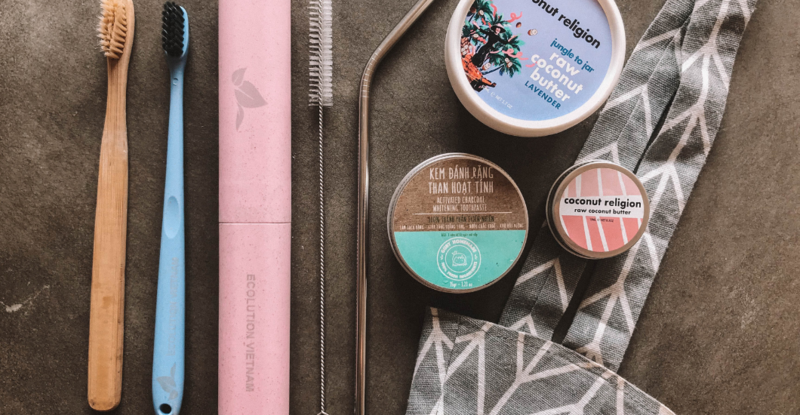 I only recently discovered the eco-friendly brand Ecolution Vietnam, and I already love their innovate products. 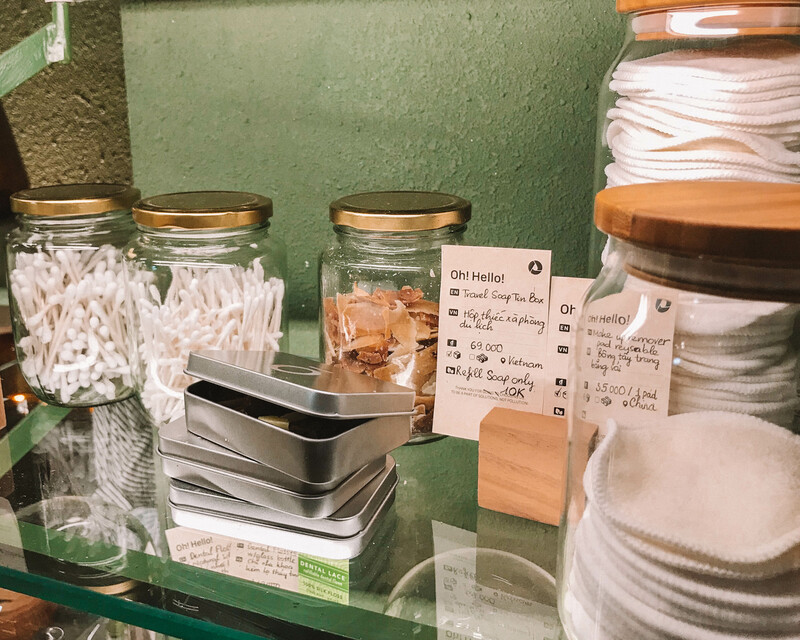 This Saigon start-up stocks a number of household items like toothbrushes, bottles, cups and reusable take-away items like boxes and cutlery (perfect for grabbing street food in). 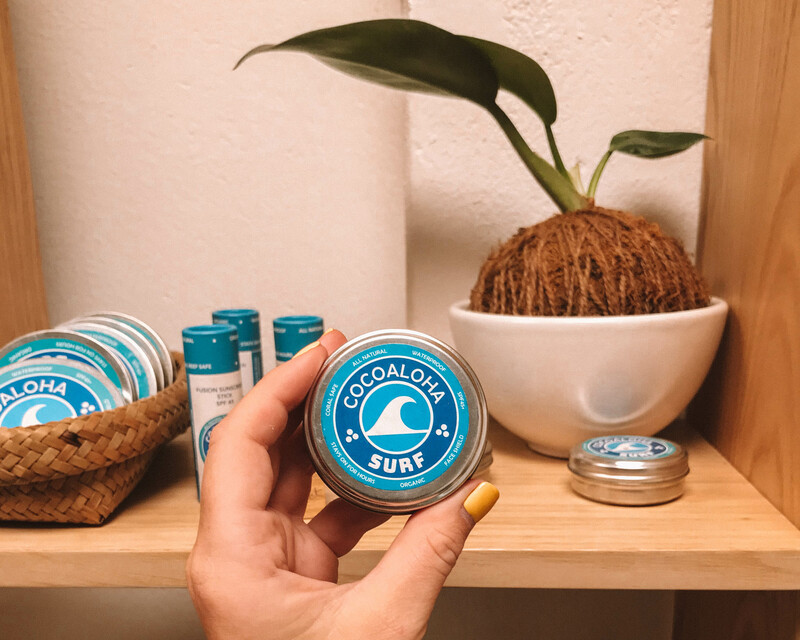 All items are biodegradable and there is a series of collections, each made from a different material (like bamboo fibre, bamboo trees and corn starch). 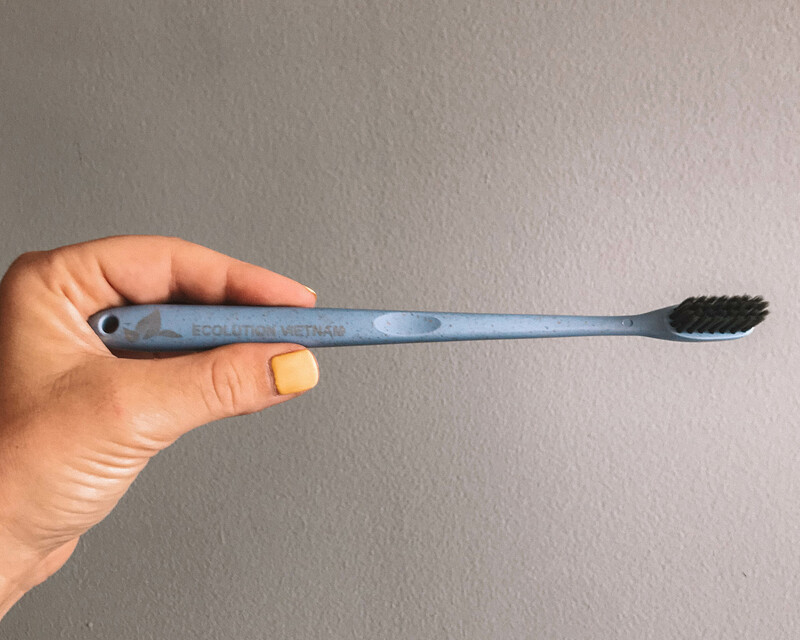 I’ve been using bamboo toothbrushes for the past year but I find that the fibres are really soft, so I’m excited to switch to one of these wheat straw fibre toothbrushes from Ecolution Vietnam that have slightly harder bristles. The products are currently made using materials sourced in China as wheat straw fibre is not produced in Vietnam…yet. The company hopes that showing a demand for eco-friendly products made by these materials will influence farmers so production can move to Vietnam. More information about Ecolution’s partners in China can be found on their website. Ecolution Vietnam ship all over the world, which is great if you aren’t based in Saigon, and are starting to venture into wholesale! 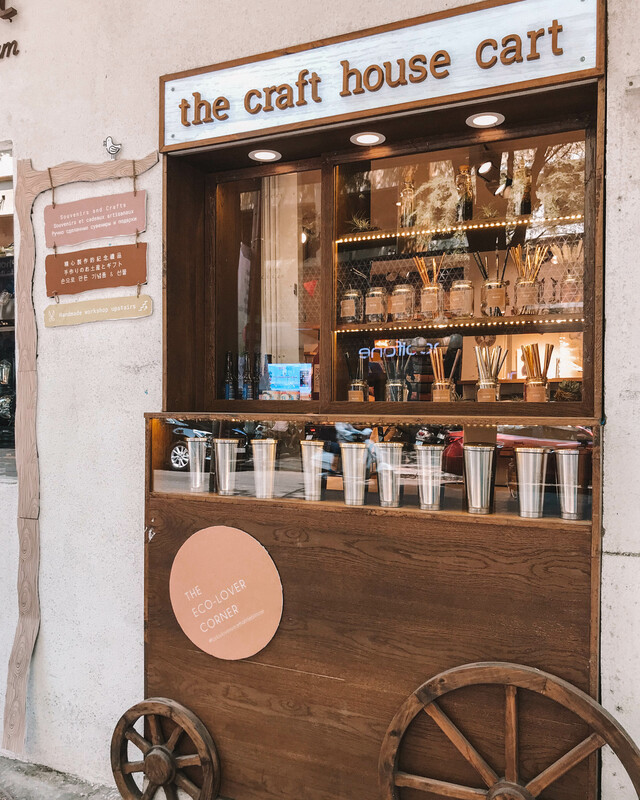 If you’re looking for a reusable cup then look no further than the simple aluminium cups at The Craft House. 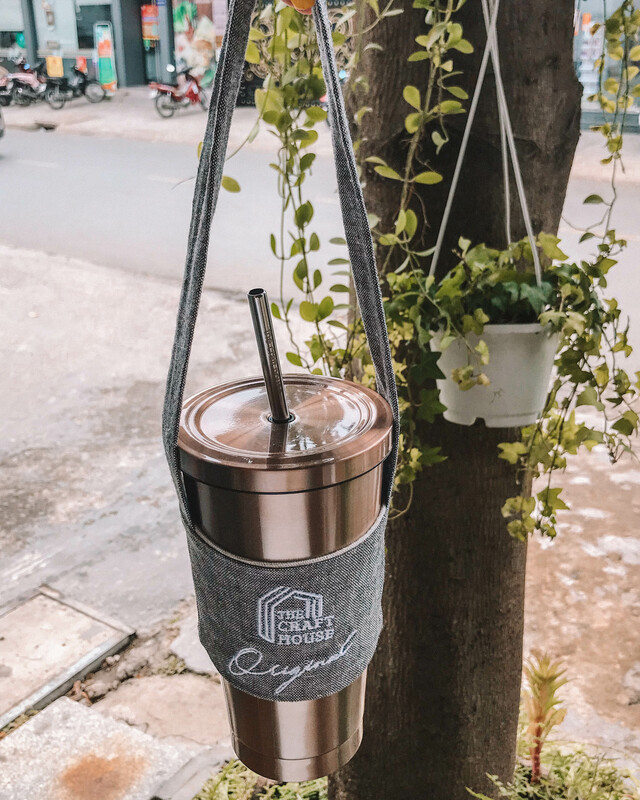 These thermos cups can keep ice for over 6 hours – there is nothing better in the Saigon heat that being able to sip your ice cold tea hours after purchasing! The Craft House isn’t solely an eco-friendly brand, their focus is to create a “cooperative playground” that showcases the best of modern craft and design in Vietnam. At The Craft House you’ll find a range of beautiful items (perfect for gift shopping) as well as their eco-friendly range which includes straws, beauty items (like brushes) and bamboo cutlery sets. 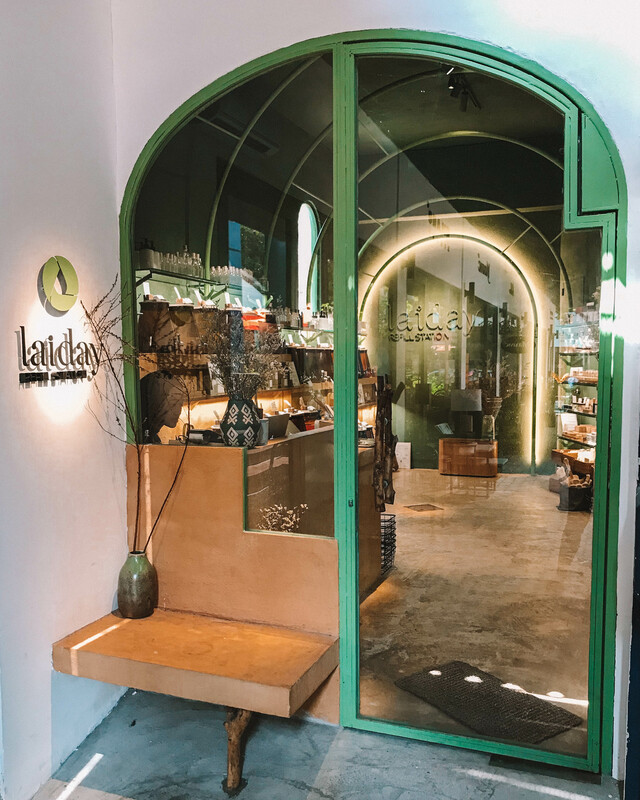 The Lai Day Refill Station is more than a brand, but an eco-friendly concept store which I guarantee you will become obsessed with. 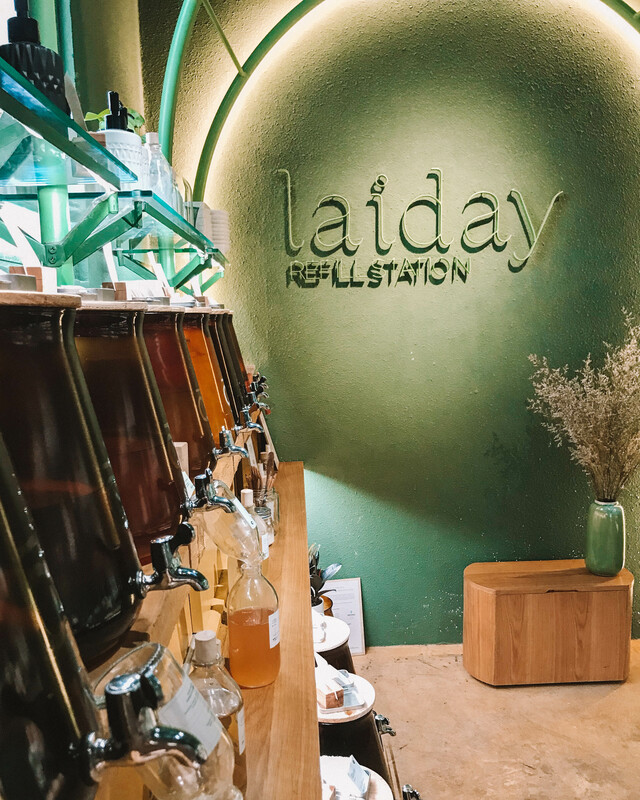 Established last year, the Lai Day Refill Station has been drawing eco-conscious Saigonese from all over the city to it’s location in District 2. Their vision is to promote a green, sustainable and environmentally friendly lifestyle while sharing beautiful, locally made products. Some of my favourite products are beauty related, like their charcoal toothpaste, and toothpaste capsules which are perfect for travelling with. They also have reusable make-up remover pads! 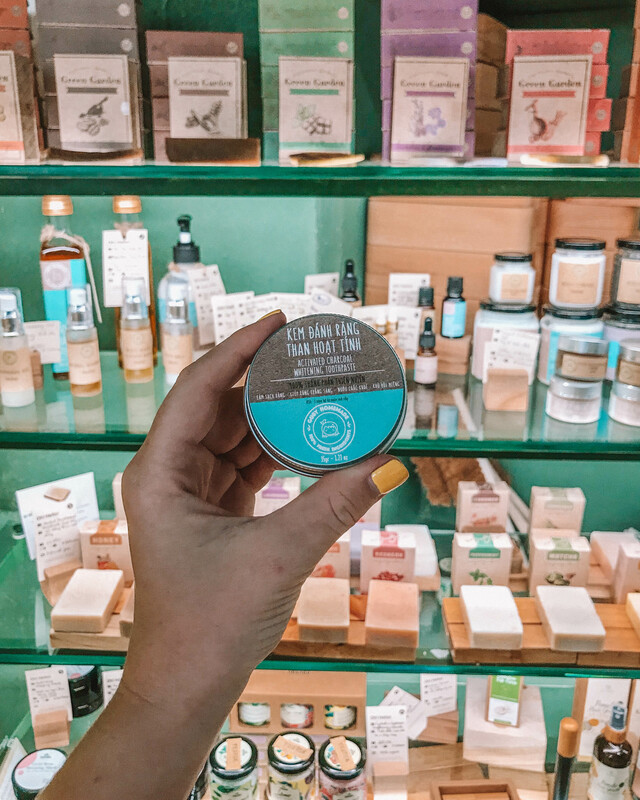 As the name hints, one the main concept of the store is it’s refill station where you can stock up on cosmetic items like shampoo and soaps without having to purchase plastic bottles. Just bring or purchase a glass jar and fill up (psst: they also will take any extra bottles you have and re-home them). You can even book a slot online to have your refills delivered to you at home! 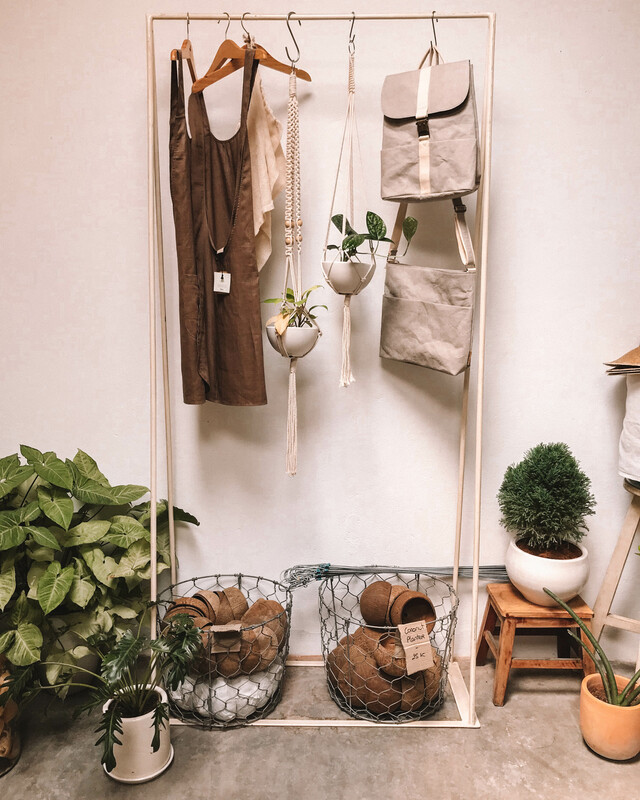 Green Around the Corner is another beautiful eco-friendly concept store located in District 2. Everything is beautifully designed and targeted at facilitating a more eco-friendly and green lifestyle. Some of my favourite products are the sunblock and beautiful textiles, like their quirky variety of reusable bags. They also have a small refill station for shampoo and soap! Last year Green Around the Corner moved location, so right now they only have the shop open but they used to also have a plant-based cafe which is still being relocated. I love the innovative and stylish direction that eco-friendly brands are taking the green movement in Saigon. Happy shopping! Saigon is such a hub for all things eco now. So many cafes in my neighbourhood don’t do straws, or have switched to reusable and a LOT of stores are now stocking reusable alternatives. It’s an exciting time to be here. Hope you can visit soon Tara! Hi Dzi, that’s exciting to hear! I recommend visiting the Lai Day Refill station and Green Around the Corner if you can, they have a large selection of cosmetics that are eco-friendly between them. Some other brands I know of that are Saigon Suds (organic, small production soaps), Lionheart face serum that is just about to launch and Stone Hill who make body scrubs. Hope this helps a little bit!